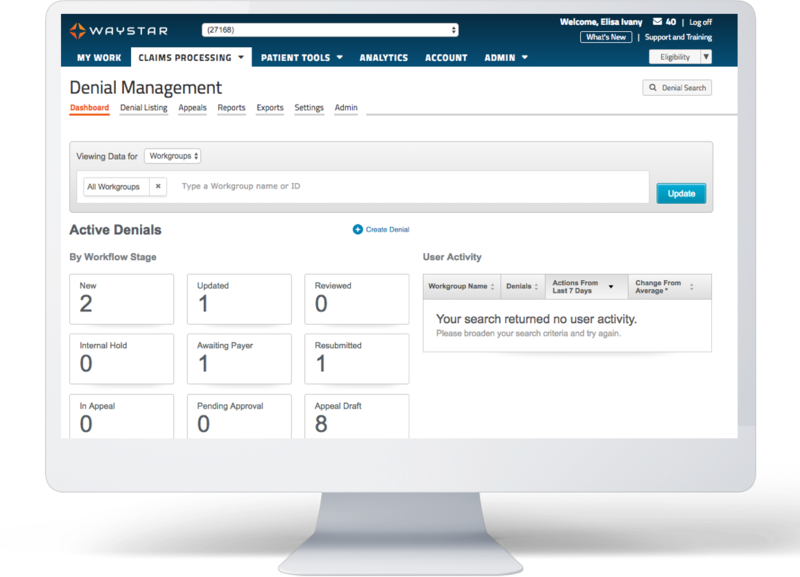 We're proud to announce that Waystar now integrates directly with Greenway Health’s Intergy practice management system. Now, you can get all the benefits of our top-ranked clearinghouse and claims management technology—with automatic, real-time data transfer from Greenway Health’s Intergy. Waystar's new direct integration to Greenway Health’s Intergy creates a seamless exchange of claims, remits and eligibility information. And, with our time-saving, easy-to-use Work Centers, your team can set multiple parameters, save searches and pull specific data sets, giving you access to everything you need without having to manually chase down information or duplicate work. This empowers you to get the most out of your AR initiatives, send more appeal packages and reduce AR days. You’ve chosen a best in KLAS practice management system in Greenway Health’s Intergy.1 Isn’t time you had a clearinghouse that measures up? 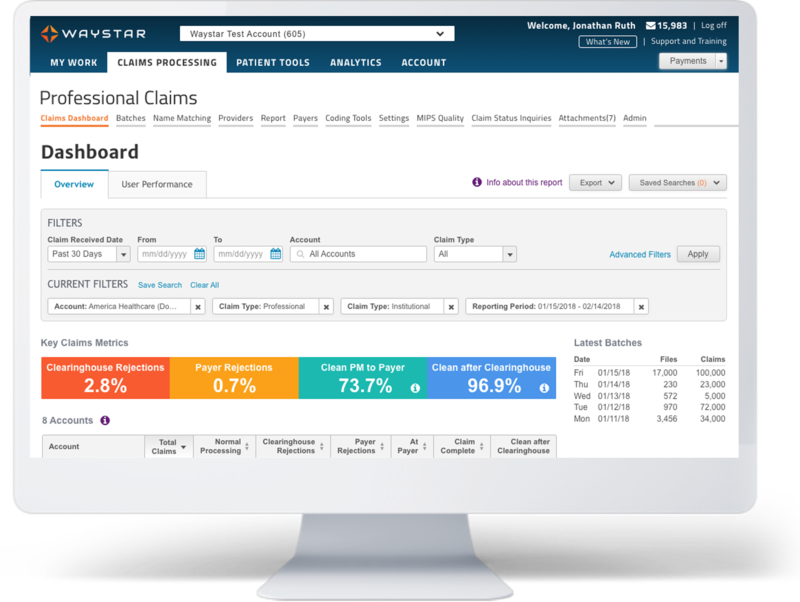 Waystar has been ranked Best in KLAS Clearinghouse and Claims Management solution for Physician Practices since 2010. 1Source: Best in KLAS for practices with 75+ providers. Whether you’re a longtime user of Greenway Health’s Intergy or recently made the switch from another PM system, take a deeper look at Waystar’s cloud-based, all-in-one platform. A smarter revenue cycle is just an easy integration away — we can get you up and running with Greenway Health’s Intergy in days, not months, and we’ll guide you every step of the way. Fill out the form below, and we’ll reach out to you with more info.